It’s Christmas time again and time to listen to my FAVORITE Christmas song called Joel The Lump of Coal. Just before Thanksgiving we had our SQLSaturday\Big Mountain Data event and I spoke! This is my third time speaking at this event and every year I regret speaking and feel like everyone would have been better in another session, every year that is until this one! I loved my session and I will actually be submitting it to PASS Summit this year. Keep your fingers crossed with me. It was on SQL Server Management Studio Tips and Tricks. One of the tips that I was super surprised that many people didn’t know is the Object Explorer Details. It allows you to delete multiple objects at once, script out multiple objects at once and just do some really cool stuff. How do I access this magic you are asking? 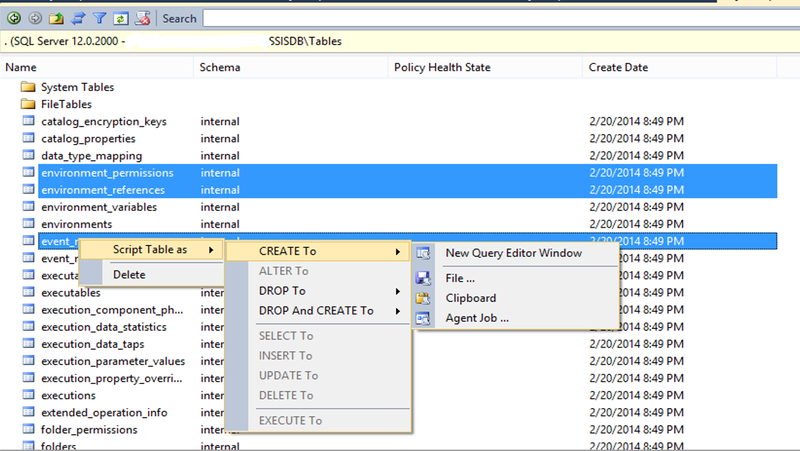 When in management studio, click on View>>Object Explorer Details. Now you can have a diamond that will help you too!